323 Summer Camps in for "Compton, CA"
Speed and agility training in conjunction with skills and strategy training on the field. 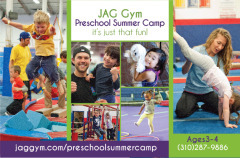 The program offers an excellent way for younger children to experience a day camp. We have built our dance program with the developmental needs of children as the foundation. Studio LOL Comedy Camps focus on building confidence, communication, and performance skills. Each day, campers will learn about real-life space exploration and build models. This camp entails a journey through creativity to encourage students to explore their inner artists. Creative five-day Spanish language learning immersion and cultural exploration. Fostering the adventure of childhood since 1945. This recreation program incorporates education and fun.